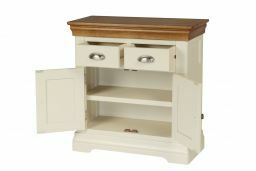 Farmhouse 80cm cream painted small sideboard with a natural oak top. I love this sideboard. It's beautiful. It fits perfect in my living room. Very pleased with my Oakfarmhouse sideboard. It looks great in the hall. Quality very good and delivered on time. I'm actually in love with my new sideboard! 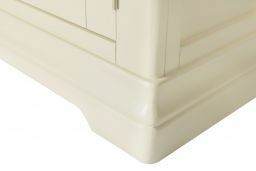 It's stylish, finishes off my hall a treat and gets lots of admirers. 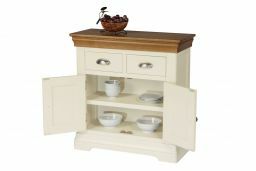 The quality and finish is spot on, and the cream and oak combination really attractive especially with the 'sculptured' top. 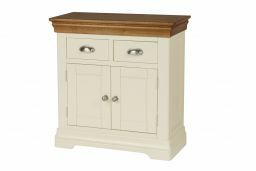 Very pleased with your sideboard excellent service packed well and delivered on time. Thank you Mr Robinson. Ordering online was straight forward and delivery was smooth and speedy. I'm so thrilled with my sideboard, will certainly shop with Top Furniture again. 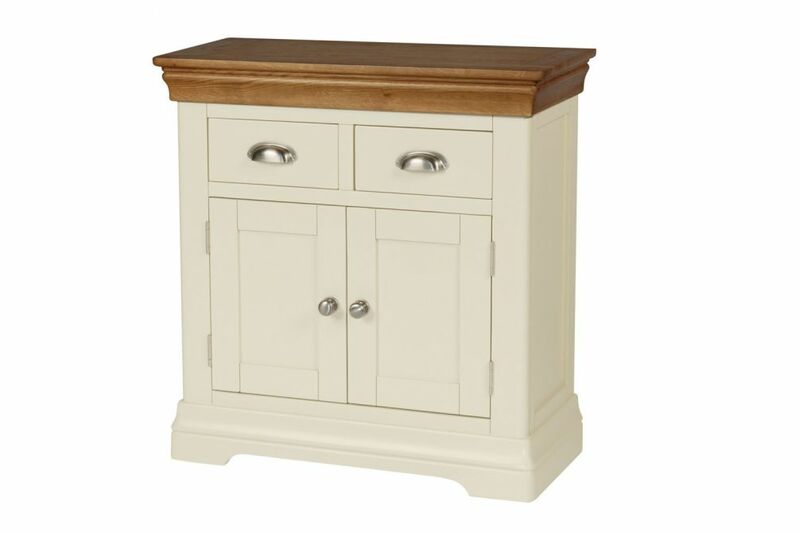 Ordered this sideboard plus four other items of furniture and cannot fault anything. Perfect,I would recommend this company 100%. I bought the bigger one a month ago and was so pleased that I decided to buy another one but the smaller size. Very impressed by the quality. But I would like to add that I have never ordered furniture on line before but I have now bought these 2 units plus a table. The service provided by Top Furniture is "TOP" and I would recommend them to all my contacts! 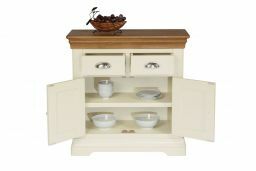 Very good service from telephone confirmation, great delivery service and sideboard is exactly what I wanted for my kitchen. 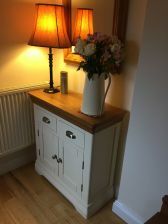 Delivery was great spot on time, arrived in perfect condition, the quality is lovely, its looks beautiful in our hallway, if I had room would defiantely order another. 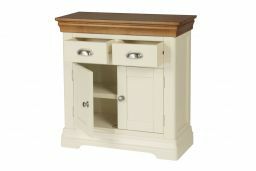 Great piece of furniture well made and looks a lot more expensive, great value for money, very Happy.